Vincent Schuler, founder of the Schuler Shoes chain popular in Minnesota, had this home built by Joseph Lang Contractors in 1905, for $5000. It included gas light fixtures but was also wired for electricity. Schuler lived here with his wife Anna and their family; Schuler's brother built and lived in the house directly to the east. 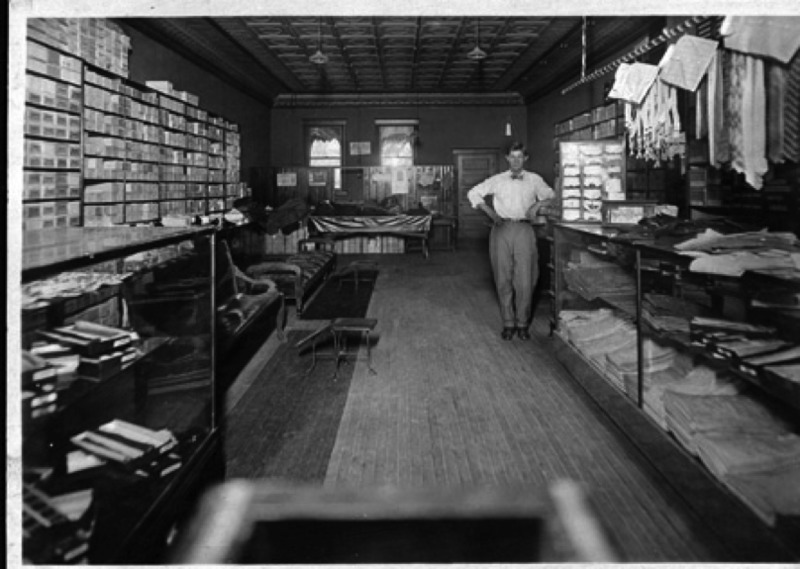 Schuler founded Schuler Shoes in 1889 at Washington and West Broadway, but by the time he moved into this home, the store was located at Broadway and North 4th Street (the current site of Friedman Shoes). 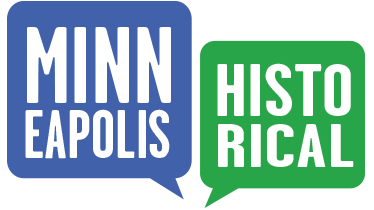 Schuler Shoes is one of the oldest family-owned stores in Minneapolis, and over 100 years later, it remains a family business with eight Schuler Shoe stores in the Twin Cities metro area. In the 1940s, William Lundstrum and his family, including daughter Dorothy, lived in the lower half of the duplex. William was the head of grounds and maintenance at nearby Ascension Church, its school, and at Ascension Club, and Dorothy taught dance at the Club. Later, Dorothy Lundstrum bought her own house at 1422 Emerson Avenue (a later stop on this tour). Old highland resident Jack Mangan had walked by and admired this duplex for two decades, even as it fell into disrepair, became vacant, and was boarded and condemned by the city of Minneapolis. It had been stripped by vandals, most of the first-floor windows were broken, and two doors had been seriously damaged by trespassers during its vacancy. When it was finally on the market during the housing foreclosure crisis in 2009, Jack and his wife Jean were able to purchase it. By the time the Mangans closed on the property, the stained-glass windows from both dining rooms had been stolen, as well as two leaded-glass windows in the front of the house. Most of the solid brass door knobs and escutcheons were gone, and copper plumbing and wiring had also been stolen. The building had undergone some “modernization” in the 1930s, with the removal of the original moldings, painting of woodwork, and covering of the natural plaster ceilings with square tiles. But the overhead lights in the dining rooms were still set to function with their dual sources of energy: gas and electric. The Mangans replaced all the molding, restored lowered arches, stripped and replaced wood trim, and saved and restored the original cabinetry in both kitchens and bathrooms. They also replaced the brass doorknobs and escutcheons with fixtures appropriate to 1905, stripped wallpaper and baseboards, and installed a tin ceiling in the kitchens. A wonderful Old Highland success story, the building was taken off the rolls of condemned buildings in 2010, and successfully rented to caring tenants by the Mangans. It's one of many Old Highland examples of local residents saving a beautiful structure through countless hours of hands-on work. This home was designed as a duplex by architects Christopher Boehme and Victor Cordella, and has remained a duplex throughout its existence. Boehme and Cordella also designed the Turnblad home in south Minneapolis, now the American Swedish Institute, and the Gluek building, still standing at 16 North 6th Street in downtown Minneapolis. They also were the architects for two other National Register properties in the Twin Cities: the James Hosmer Library at 347 East 36th Street, and the Thompson Sumner House at 3012 Shoreline Drive in Minnetonka Beach. The building is two-and-a-half-stories, with brick cladding and a symmetrical façade dominated by a full-height porch supported by Ionic columns. A classical pediment tops the two-story entry porch, and includes a small porthole window and a gabled roof. The boxed eaves with a moderate overhang and narrow frieze band previously had brackets throughout; now, brackets are visible only in the pediment. Note the brick coursework above the windows and the stone sashes below. There are three hipped dormers on the east, north, and west facades. The first story has new porch railings, and the windows are original to the structure. 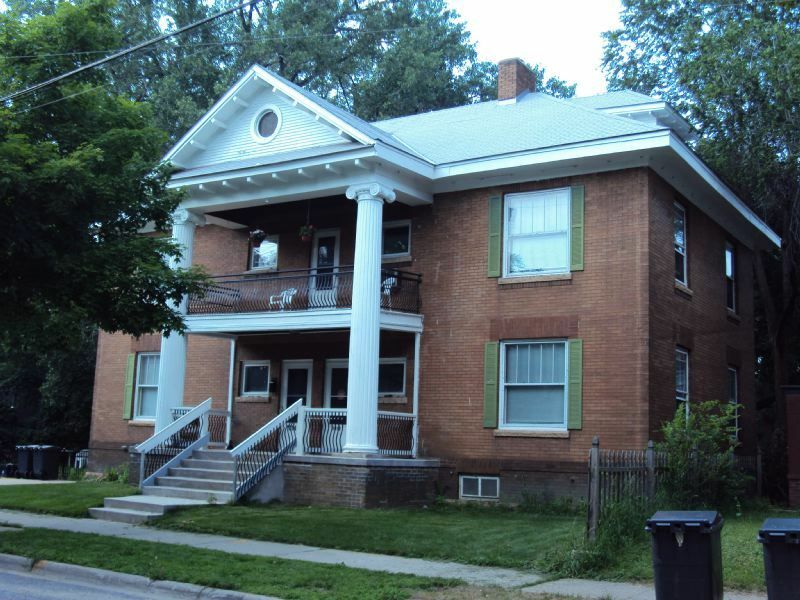 Old Highland Neighborhood Association, “1012 17th Avenue North: Twin Pillars,” Minneapolis Historical, accessed April 18, 2019, http://minneapolishistorical.org/items/show/14.